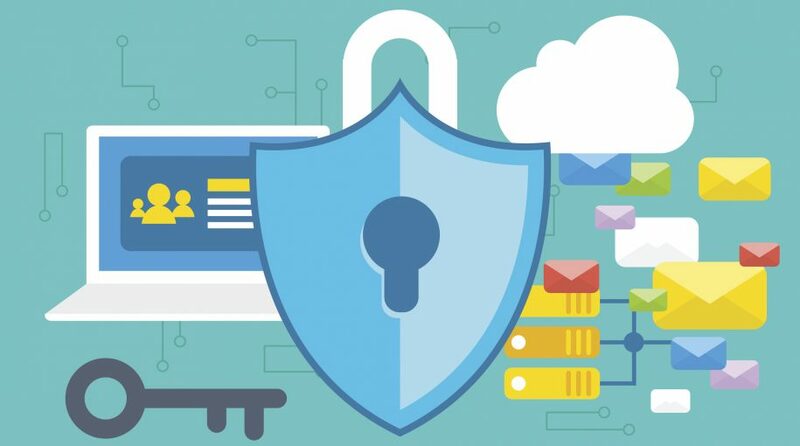 We are witnessing a critical turning point in the history of identity assurance – departure from the time-honored seals, autographs and textual passwords. However, quite a few people seem to pay little attention to this inevitable evolvement, presumably because they are trapped in two major misbeliefs – (1) a ‘password-less’ (volition-less) authentication is desirable and (2) biometrics is displacing the password. I have repeatedly referred to these misbeliefs in my earlier articles – “’Weak Panel’ And Weak Lock/Key System’ Of‘ Weak Door’” and “Four Puzzling Issues of Identity Authentication”. gist of which was that volition-less authentication is not compatible with the values of democracy and that it is logically obvious (1) that biometrics has to depend on another factor as a fallback means against false rejection, (2) that the password/PIN is mostly used as the fallback means in cyberspace and (3) that the biometrics and the fallback password/PIN are deployed in “multi-entrance” method (as against “multi-layer” method that brings up security) that brings down the security the password/PIN has so far provided. I have recently noticed that one important point has been missing in my earlier writings. It was the lack of quantitative examination of the exactly opposite security effects of multiple authenticators deployed in ‘multi-entrance method as against ‘multi-layer’ deployment. It appears that there are so many security professionals who are indifferent to the exactly opposite security effects of ‘multi-layer’ and ‘multi-entrance deployments, presumably because they wrongly took it for granted that security improves more or less automatically where multiple authenticators are deployed, because they see multiple factors there. ‘2’ always looks larger than ‘1’ if the context is ignored. On the other hand, if the two are deployed in ‘multi-entrance’ method, the total vulnerability (attack surface) is obtained by (x) + (y) – (xy), approximately 0.0011. It is about 11 times less secure than (x) alone. Suppose a case that the two authenticators are deployed in such an extremely careless manner, for instance, that the attack surfaces of (x) and (y) reach 70% (0.7) and 60% (0.6) respectively. If simply added, the sum would be 130% (1.3). It conflicts with the starting proposition of the vulnerability figure being between 0 and 1. You might assume that biometrics deployed with a password/PIN in ‘multi-layer’ method should bring us a very high security. But, very sadly, this scenario never comes true. When rejected by biometrics, what can we do? We will only see that we are unable to login even if we can feed our password/PIN. In a media report “AI May Soon Defeat Biometric Security, Even Facial Recognition Software”, AI is taken up as a major threat to biometrics security. But, we do not need to wait for AI. Biometrics is already defeated by itself. Biometrics vendors may be able to make their products more fake-proof, but even the perfectly fake-proof biometrics would still be less secure than a password where it is used together with a fallback password; as mentioned earlier, two entrances placed in parallel provide nice convenience not only to consumers but also to criminals, say, lower security. (b) consumers are not informed that the password/PIN that they had registered are deployed in ‘multi-entrance’ method with biometrics, which brings down the security to the level lower than a password/PIN-only login. Consumers would have reacted very differently to biometrics if they had been correctly informed of its true security effects. While informed consent must be respected, misinformed consent must be corrected, particularly when it brings a serious case of false sense of security (illusion of safety). Biometrics vendors are urged to explicitly tell consumers that biometrics is a tool to improve convenience, not security, and must be used with a yet stronger password where they do not like to ruin the security that the passwords/PIN have so far provided. Simple pictorial/emoji-passwords and patterns-on-grid that can be deployed on this platform. Last but not least, it continues to rely on free will/volition. 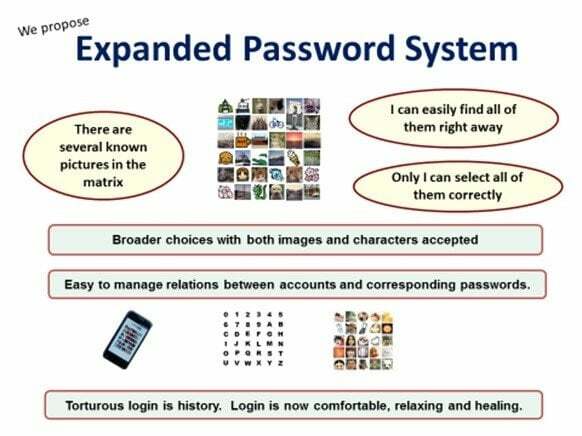 The password predicament will not go away until the password system gets expanded to offer a broader password choice. The system should enable the user to select any numbers of images through an interface of their choice, using a matrix of images which could be small or large depending on the level of security the user wants to achieve for the particular application. The system should enable the user to register a set of any numbers of images of their choice either by permutation or combination as credentials and embed them onto a matrix of images made of meaningless decoy images. The system should enable the user to register textual passwords by accepting characters (alphanumeric, emoji, characters of any language like Chinese, Japanese, Hindi, Arabic, etc.) as images and the system should handle all of them the same way as images. The system should allocate an image identifier, which is made of reasonably long random data, to each image so that the total sum of the identifiers of registered images will make the long random credential data. The credential data to be stored should always be hashed with a salt that is unique to each user by the latest cryptographic modules like ‘bcrypt’. The system should provide the user with explanations on the merits and demerits of permutation and combination for registration of images. The system should provide the user with suggestions on what kinds of images to register and avoid registering.